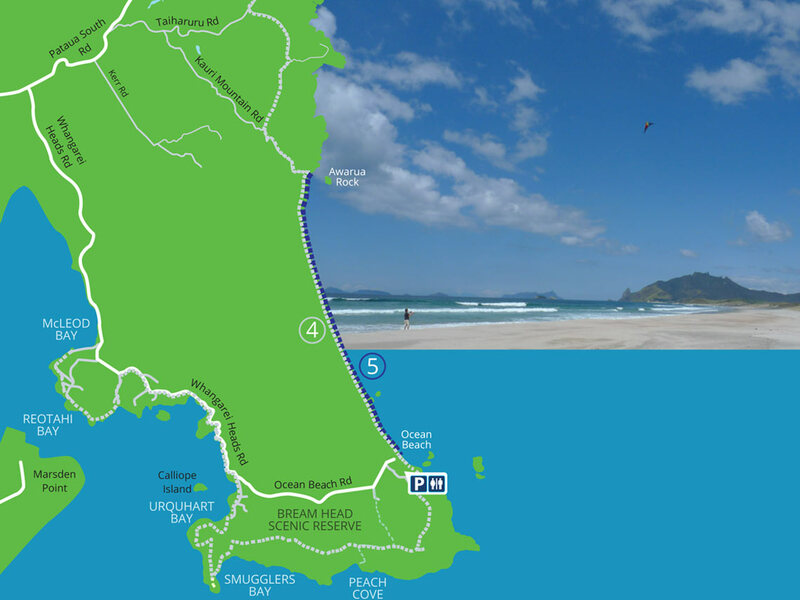 Kauri Mountain Beach offers a spectacular experience with approximately 6 kms of white sandy Ocean Beach. Be sure to bring supplies if you wish to walk the whole beach and back, or organise a driver to pick you up at the other end. The driver will have 3 hours to enjoy local cafes, bakeries and art galleries before picking you up.